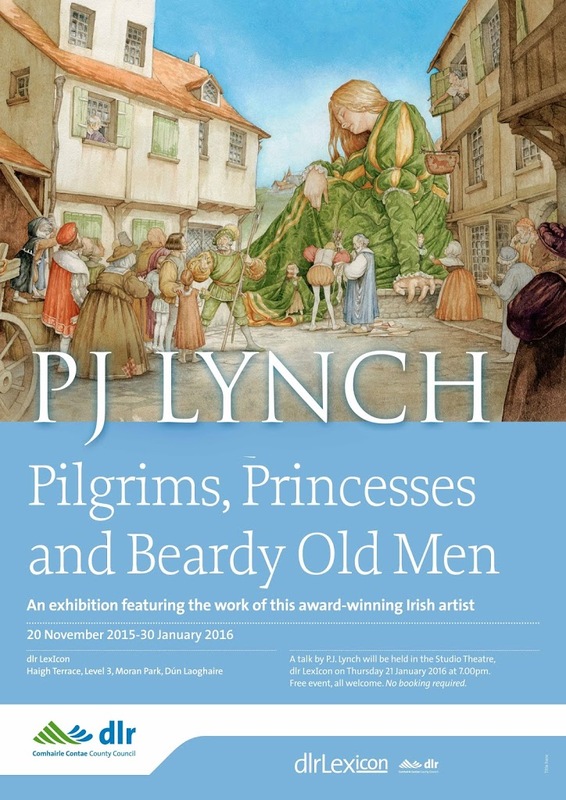 The exhibition will be officially opened by Laureate na nÓg, Eoin Colfer. All Welcome. dlr LexIcon presents an exhibition of original paintings by award-winning Irish artist, PJ Lynch, from the million-selling The Christmas Miracle of Jonathan Toomey, and classics such as Dickens’ A Christmas Carol right up to the newly published The Boy Who Fell Off the Mayflower, as well as PJ’s charcoal drawings for Once Upon A Place, a new anthology of stories by top Irish writers compiled by Laureate na nÓg, Eoin Colfer. The exhibition runs until 30th January. 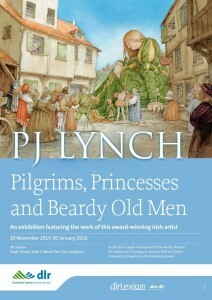 On Friday 20th November ‘Pilgrims, Princesses and Beardy Old Men’, an exhibition featuring the work of award-winning Irish artist PJ Lynch, will be launched at 6.30pm in dlr LexIcon, Level 3.
dlr LexIcon presents an exhibition of original paintings by award-winning Irish artist, PJ Lynch, from the million-selling The Christmas Miracle of Jonathan Toomey, and classics such as Dickens’ A Christmas Carol right up to the newly published The Boy Who Fell Off the Mayflower, as well as PJ’s charcoal drawings for Once Upon A Place, a new anthology of stories by top Irish writers compiled by Laureate na nÓg, Eoin Colfer. P.J. Lynch has worked as a children’s book illustrator since leaving Brighton College of Art in England in 1984.